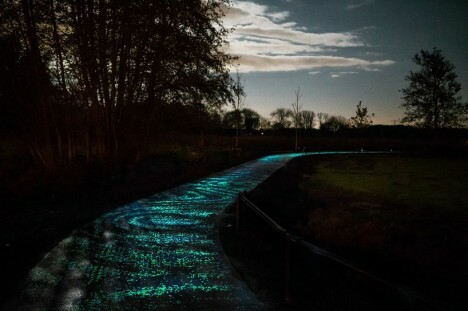 Opening last night in Nuenen, Holland, this illuminated cycling surface is free to the public, storing sunlight during the day to create stellar patterns to guide riders after dark. 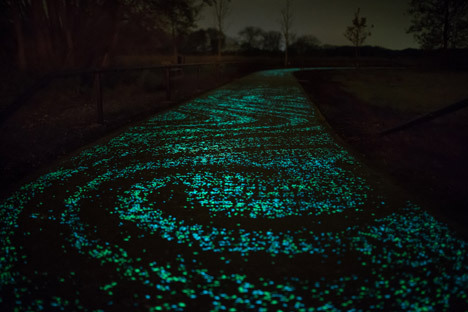 First of its kind on the planet, the swirling shapes of this path are recognizably inspired by one of Vincent van Gogh’s most famous paintings. 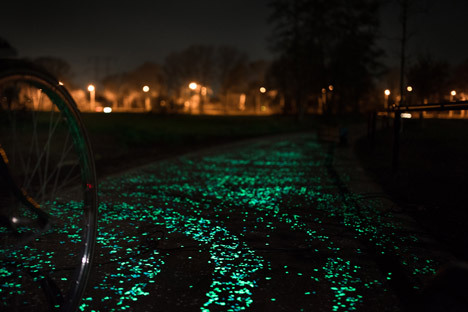 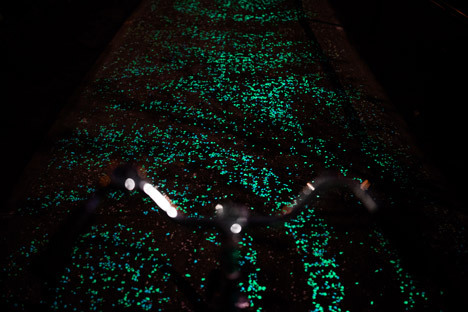 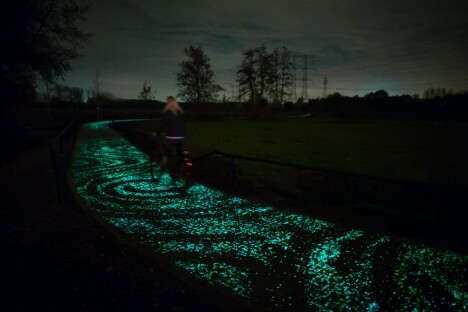 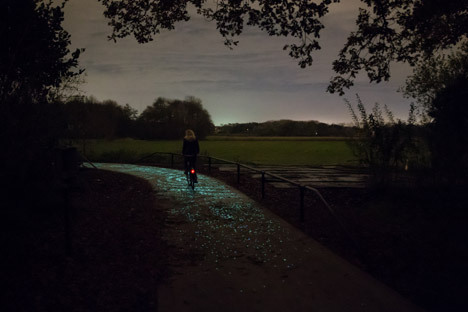 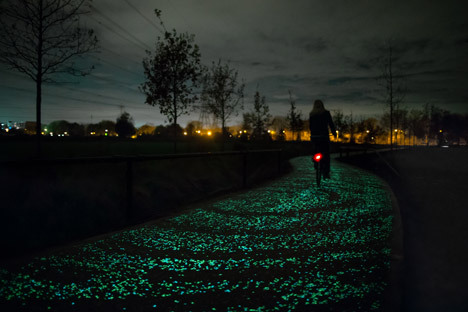 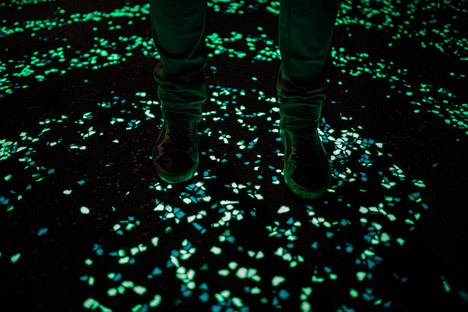 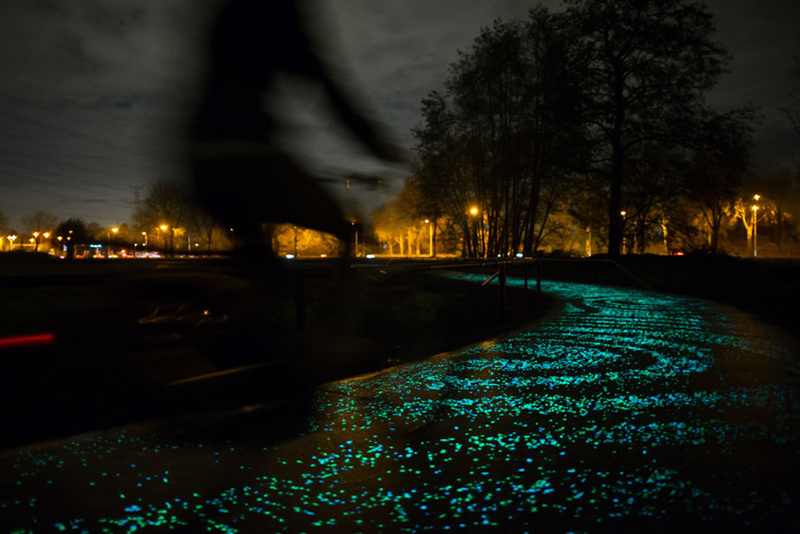 Developed by Dutch artist and innovator Daan Roosegaarde in conjunction with infrastructure specialists from Heijmans, this pathway is a potential prototype for future cycling paths using smart paint technologies as well as an extension of an ongoing series of glow-in-the-dark highway projects and other urban improvement proposals in the works around the world. 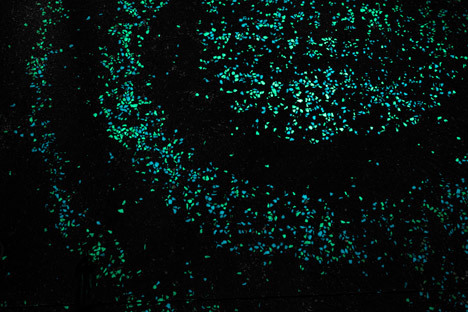 The semi-abstract pixelated swirls are a high-tech reference to Starry Night, painted in 1889 and depicting an idealized view from the east-facing window of the painter’s asylum room at Saint-Rémy-de-Provence (now part of the permanent collection of the Museum of Modern Art in New York City).